It’s the morning after a family wedding and as I write this I’m pretty certain I still have prosecco flowing through my veins. Over the last few days I have been working my way through the latest epically long Mumsnet thread about insta-mums. I’ve read through all the previous threads. I read quite a bit on the Mumsnet forums in general, anyway. My mumsnet forum highlight email provides joy in an otherwise dull day, and I love hearing about people’s parking issues. Your neighbour definitely IS being unreasonable. If you haven’t a clue about these threads, I’ll keep it short. Valid questions are being asked about the clarity of disclosure for influencers – what exactly is an #AD? What does #gifted mean? Why do some influencers seem to disclose some aspects but not others? Are influencers truly honest? Are we being duped? And in an ideal world, how would we like to see influencers disclosing their brand relationships? I have been blogging for seven years and working with brands for at least 6 years. Over that time, my attitude towards brand work has changed massively along with our family circumstances. I have a lot to say on the subject of disclosure and brand relationships. And unfortunately, due to the effects of last night, it’s going to be in no particular order and probably more rambling than usual. Where one person sees an influencer who has ‘made it’ and is rolling in cash and opportunities and living their best life, I see a person who is riding a wave of great opportunities and money that certainly helps to make life more comfortable, but not enough to be a millionaire and give up the day job. There are many MANY influencers who fall into this category. FAR more than the few who really are able to make it a full time career. Unless you have multiple revenue streams ie Zoella-style book deals, presenting gigs, and product ranges, you are probably not an Instagram millionaire. Where you speculate that someone has given up their day job for Instagram stardom, I see someone who clearly hasn’t, because short term social media fame is clearly nothing compared to the financial security of a salaried job. They probably aren’t mentioning their day job because it’s boring and not what inspires them to create content. Having 50,000 followers on instagram does not instantly make you insta-rich. At that level, and even in the 100s of thousands, there is lots of needing to be at the top of your game in order to compete for contracts, and it can be tricky to negotiate a fee that is reflective of the time put it. Basically, it’s not as simple as grow a following and you’re quids in. It’s still hard work at that level. I don’t actually know when or if it ever stops being hard work for an influencer. It’s a very competitive world. Whilst the difference between #ad and #gifted is very obvious to those in the industry, it is confusing and alienating for everyone else. This type of disclosure has become such an industry standard, that we are forgetting to assess whether it actually looks clear enough to our readers. What may seem like shady non-disclosure or sketching around the details of the brand relationship, many times is actually just influencers not realising that people were confused and that there clearly is a need for better clarification on what the influencers role is in promoting a product. We are realising this now and many of us are striving to provide more details on brand agreements for our audience. The thought that goes into which #ads to accept and which to decline goes completely under the radar for members of the gen public. There are three things this month that I have turned down, due to either a clash with my ethical beliefs, or simply because I just wasn’t motivated to write about a particular product / experience. We don’t accept anything and everything just because there is a decent fee attached. We have already thought carefully about how we will approach the content and whether we can write about it genuinely, before we’ve accepted the brand partnership. We really, really like our ‘audience’. Many of us started out doing this gig because we like connecting with people, we like providing useful information. We like the conversation. There isn’t a secret world where we are all laughing maniacally, gleefully rubbing our hands together with all our cash and getting off on the deception of our audience. We value our audience and we are nothing without them. All this tells me that we need to talk more about our lives and our work. We need to mention our revenue streams more, and our salaried jobs. We need to trust our audiences with this info that they are clearly curious and confused about. We need to be open to constructive criticism and see it for the useful tool that it is for us bloggers and influencers. I have an issue with the phrase “for free“ when it comes to blogging work. Which I know is a common thread amongst a lot of bloggers. It comes up frequently in conversations with friends. “It’s amazing that you got to go to so-and-so place for free!” The thing is, I don’t see it as free. Yes, I got selected to go to so-and-so a place off the back of the quality of my photography, videography and written content. The brand has an option of who they select. They select me because I am the best person for the brief. It wasn’t a holiday. Whilst I was there I spent a LOT of time making sure I had content that showcases the destination. Then when I got back, I spent a solid week, if not more, creating worthwhile content for the trip. To me, calling it a freebie feels a bit flippant and disregards the careful work I’ve put in to creating worthwhile content. If I wanted a relaxing holiday, I would book and pay for one myself. One where I am not obliged to create content. The reason I do press trips is because I like creating content. I bloody love it, in fact. But it is work, not a holiday. Would you say to a travel journalist that it’s amazing that they get to do these trips for free, even though it’s their salaried job? That’s why my response to that sort of remark is always “Yes, it is amazing that I get to do these things as part of my job”. In the very early days of my blogging life, blogging was not a business. I had no idea that it would become a business. 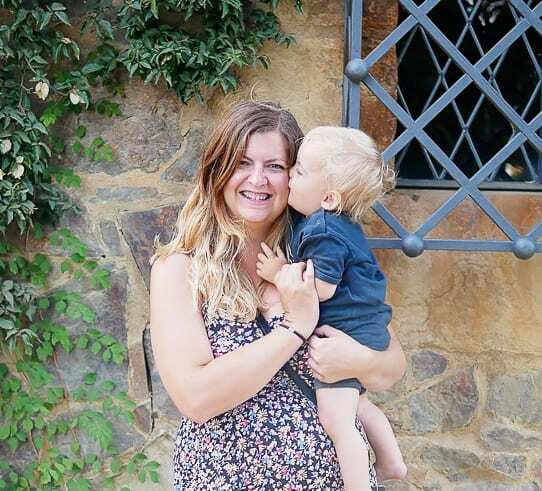 Back then, as a young mum with an unplanned pregnancy, it was a way for me to find and connect with other parents. And a way to vent about my worries without burdening anyone ‘in real life’. A year or so later, began the contact from brands and the offers of products in exchange for review. As a young unprepared family in London on a combined salary of £28k and a huge spiral of debt, the prospect of review products was a very exciting one. Blogging was, in part, a way to access items that I couldn’t afford to buy myself. But does that mean I was being disingenuous to my audience? The answer is: I am not sure. It’s a thin, murky line, and I guess I don’t know which side to argue for. Does that fact that I am gifted something of high value that I couldn’t afford to buy myself affect my ability to provide useful information to prospective consumers? Are the images I take time to craft less valuable to people searching for a detailed image of a product via google search? Does it mean that I am no longer capable of an honest, weighed up review of a product? Let’s take the case of our recent Walt Disney World collaboration. It’s absolutely true that we could not have afforded that trip at that particular point in time. But yet we were still the target consumers. Disney wanted content aimed at people who wanted to take young children, and people who weren’t particularly interested in princesses. They wanted someone who could take creative photos and videos to capture the fun. And that was us. This was not a trip that we were paid for. The trip was payment in kind, meaning it was free (I’m aware not to use industry terms that can be alienating and not clear to anyone not au fait with the ‘influencer’ and PR world). The subject matter of my content was totally up to me, and I was encouraged to be honest and not shy away from any stressful aspects of the trip (which is the best kind of brand collaboration because pros and cons are just life, aren’t they?) My requirements were to write 4 blog posts and create 1 video. I wrote 5 blog posts because there was so much more that I wanted to say, and made 5 videos. All of which took many hours to put together, and were designed with the specific idea of providing helpful information to people who might be considering the same hotel we stayed in, or going with the same age children, etc. I thought very carefully about my content, and I really hope it does provide a genuinely helpful experience for anyone who lands on my content during their Disney holiday research. This, to me, is the true value of a content creator. What is the point if we can’t provide a helpful and rich experience? How exactly SHOULD we disclose and how often? I have watched high profile instagrammers time and time again get called out for not disclosing something, when personally I wasn’t sure whether there really is anything to disclose. If an instagrammer has clearly stated their brand brief at the start of a press trip, I would assume anything not tagged with #gifted or #ad has been paid for by the person themselves. This happens a lot with press trips where although the ‘big’ parts of the trip likes flights and accommodation have been provided, meals and experiences might not be and the blogger has simply chosen to pay for that themselves. As bloggers, we know we need to disclose that the trip is a brand partnership, but do we need to add a convoluted explanation to every single post within that trip? “Here’s me with my AMAZING meal! #Ipaidforthismealmyself #eventhoughmytripisapresstrip #asalreadystatedamilliontimesalready #PSIknowyouareallgettingsickofmeandmybloodypresstripalready #becauseivehadtodisclosemultipletimesoneverysingleplatform#butimstillscaredIhaventdoneenough #andnomatterwhatidothereisgoingtobebacklash. The answer is that I think we do need to add a clear and detailed disclosure to every post. It might seem overkill to us, but if there’s one thing I’ve taken from these mumsnet discussions, it’s that without this disclosure, it can be very confusing to our audience. What about #ad VS #gifted? After reading the latest Mumsnet thread, I am once again thinking that maybe we should be labeling every single brand partnership as #ad, despite whether actual money has changed hands or not. If you have been gifted something, with the obligation to feature it, perhaps even a brief has changed hands, giving you ideas for the sort of content the brand would like to see (the end result is 100% always up to the content creator though if money has not changed hands. The brand does not have editorial control so you are still within your rights and the interests of your audience to be truthful in your content. When it’s an #ad, these rules change. Then, you may be required to be positive about the brand). It is hard to argue with the idea that by being gifted something you are influenced to be positive about it from the off. To the general public, does this make your content an #ad? I think it probably does. How can we have more meaningful brand relationships that are also a positive experience for our audience? When I was pregnant with my third baby, I’d already made up my mind to buy a specific pushchair, but first, I approached the PR for that brand to see if they wanted to work together. I worked really hard on that content, it took a LONG time to put together. A year later, that video receives a large amount of hits per day, the blog post even more, the instagram hashtag gets the most of all. All from people considering buying that particular pushchair wanting information on all the different configurations. One argument is that I grabbily approached a brand for a freebie instead of paying for it myself. Another argument is that I provided a service that is both useful for the consumer and continues to convert to sales for the brand, and I didn’t even charge my day rate. This is one exampleof how, as a micro-influencer (that means someone with a smaller but solidly engaged following), many of my brand partnerships arrive as a result of me pitching directly to brands that I want to work with. This is why brands have begun to value micro influencers over the big hitters in the influencer world. My door is not constantly being knocked down with opportunities to receive products and promote amazing opportunities. In order to land a sweet campaign, I have to PROVE that my content will do well in search results, and in order for that, I have to think carefully about how my content will provide useful information. I don’t have the following for a couple of photos of me on a beach and a caption that doesn’t tell me anything about the place to convert to massive exposure for a travel brand. My content HAS to be informative and valuable for the potential consumer in order to compete. All this means that I work really really hard to ensure that my content is as good as it can be. When you have an astronomic following, you don’t necessarily have to think about it like that. When your content alienates instead of unites. I vividly remember my first gifted blogging item – a pair of shoes for my toddler. Another defining moment of my early blogging days was a collaboration where Sam got a suit. The brand may not have realised, but this was literally life changing for us. We were barely holding it together with our finances, this was his first work suit and meant that he had the confidence to look the part at job interviews, eventually landing him a higher paying job that got us out of our debt spiral. I entered blogging competitions for high value items and holidays, even for regular paying social media management jobs – something I desperately needed as a 25 year old with a baby and no hint of a career in the early years of the post-recession job market. Pitted against other bloggers, many of whom I could put faces to names and had met at events. Time and time again, the rejection felt personal. Unlike a regular job interview, you had a direct comparison – they’ve chosen HER over ME. You can compare obsessively and it can be soul destroying. Yet these competitions were the only outside chance for my family to have a holiday. We couldn’t afford it otherwise, and the depression of the constant background reminder of fun experiences MY children weren’t getting to do, things WE wanted to experience with our children that most of our London parenting peers could easily afford and took for granted, weighed heavily on me. The blogging world with it’s carrot-dangled opportunities felt like the only conceivable way to change that. It wasn’t the healthiest way to be, and it wasn’t the healthiest way to enter brand relationships. The reason I write this is because I’ve read countless experiences on these Mumsnet threads that have stopped me in my tracks and made me feel like I might be contributing to this exact feeling I experienced, in other people. The soul destroying feeling of comparing yourself to others and feeling like you are getting it wrong or not providing the life you should be for your family. The story reads the same for many, mums who joined Instagram in their fledgling parenting days, unaware of brand / influencer relationships, feeling they were unwittingly ‘sold’ a lifestyle, buying products only to later feel perhaps they had been tricked in one way or another – either that the product wasn’t genuinely raved about, or simply that it was impossible to keep up with this lifestyle of consumerism. The end result left them feeling inadequate and disenfranchised with the whole insta-mum thing. I’ve been there. And I REALLY don’t want to create those feelings in other people. Reaching for and failing to achieve a lifestyle we couldn’t have was a dark depressing time (I’ve talked lots before about how unhappy I was during our years of financial struggle compared to now, where we actually have disposable income and a comfortable life with lots of financial choice). This is why I am so adamant about being transparent about our ‘journey’ to financial comfort. This is why budgeting and our experiences with debt comes up time and time again in my writing. So, is me promoting brands disingenuous to my readership because it’s alienating? Or is it a helpful account of a real family’s experience? Honesty, I don’t know the answer, and I think sometimes, it can be both at the same time depending on who is reading. The questions about brand / influencer relationship and calls for more specific disclosure that have cropped up recently are really important to discuss. Keep asking the questions, please call us up if you think we haven’t disclosed clearly enough or you are confused about the nature of the brand relationship. And also, on the other side of this coin, please also let us know when you think we’ve done a particularly good job with our branded content or the clarity of our disclosure. We need to know in order to know what we are doing right and how to do things better. Content creators that care about their output ARE listening, because we want to create the best possible experience for our audiences.